Dublin - Cork services were suspended between Charleville and Cork on this day for panel relaying around the 133 milepost. Mallow passengers were bused to/fro, Charleville while Cork passengers were bused to/from Thurles. I had to take a trip to Dublin today. Photos come from: - Nenagh. - Ballybrophy. - Heuston. - Connolly. - Thurles. I'm off to Drogheda for an overnight trip so expect plenty of pictures to come. Friday's pictures come from Connolly, Portadown and Adelaide during an organised visit to the nearby Depot. Later in the day I headed down the East Coast from Adelaide to Arklow. 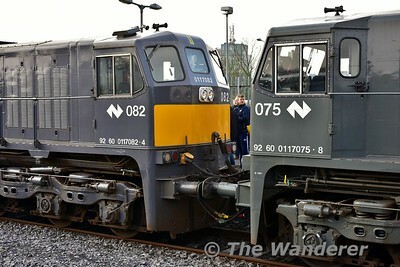 To see the pictures from the depot visit click here. Pictures from the Vale of Avoca of the morning up and down Rosslare services. Later in the day I ventured to Ferrycarrig outside Wexford to capture the 1420 Rosslare Europort - Connolly. Pictures from Ballybrophy and of the River Shannon in flood between Clonmacnoise and Shannonbridge. A trip to Lisduff on the Laois / Tipperary border to view some of the morning trains bound for Dublin including the 0815 Killarney - Connolly GAA Special and the 0710 Tralee - Cork diverted to Heuston. Pictures from this day come from Drogheda where we see 083 being fuelled on the service slab at the depot. Later in the day I had to drive to Belfast and the timing was perfect to stop at the Egyptian Arch and Craigmore Viaduct outside Newry to photograph the 1650 Dublin Connolly - Belfast Lanyon Place Enterprise service passing by. While in Killarney for the weekend I popped out to Faghcullia near Killarney to photo the 1135 Mallow - Tralee passing. 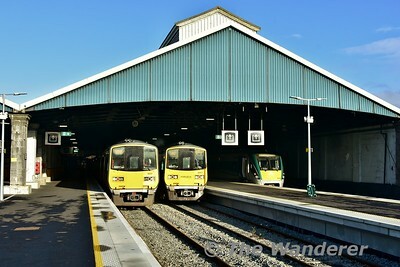 While heading home after the weekend in Killarney, I stopped off at Maddam's Hill and Currans to photograph the 1710 Tralee - Cork and 1750 Tralee - Heuston. Pictures of the 1425 Cork - Heuston passing through Portlaoise, with the bonus on Tuesday of it being propelled by Belmond Grand Hibernian liveried 216. 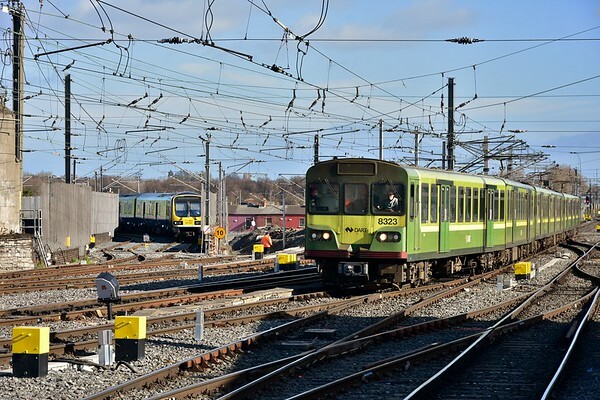 Pictures from the latter part of the working week come from Ballybrophy, Lmerick Jct. and Limerick. We see the latest progress on the new platform at Limerick Jct. 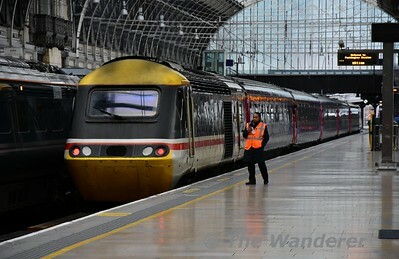 and Tamper 743 stabled at Limerick. Just two pictures from around Killarney of the 0855 Cork - Tralee and 1105 Tralee - Mallow.